In a cardiac emergency, every moment and every action is vital. Those who are trained in CPR will begin chest compressions or mouth-to-mouth in the hope of stabilizing the patient until first responders can bring them to the hospital. Once EMTs arrive, it is taken on faith that they will have the tools and equipment necessary to treat the patient. 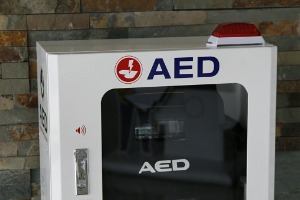 Unfortunately, the FDA recently announced a recall on Friday for one of the most critical tools in the arsenal of an EMT or doctor battling cardiac arrest: the defibrillator. Recently, defibrillator manufacturer Stryker has announced a voluntary defibrillator recall following a series of mechanical failures and some fatalities. Stryker is voluntarily recalling specific units of LIFEPAK 15 Monitor/Defibrillators due to the possibility of the device locking up after a shock is delivered, according to the FDA: “a blank monitor display with LED lights on, indicating power to the device, but no response in the keypad and device functions. A device in this condition has the potential to delay delivery of therapy.” As of the recall, this issue had caused at least 58 injuries and six deaths from a delay in defibrillation resulting from a lock-up of Stryker’s product. After receiving the 58 complaints, Stryker initiated a voluntary recall of their 13,000 units and issued instructions on how to test the defibrillator and has offered to repair the units if they are reported and sent in. Stryker estimates that the recall should be completed by December 31, 2019. In the meantime, many doctors and EMTs are advised to exercise caution and regularly test LIFEPAK 15s. This recall marks Stryker’s 4th product requiring notice to consumers because of a complication or defect. Other recent defibrillator recall examples include Medtronic’s LIFEPAK 15 which Parker Waichman covers here. While Stryker struggles to correct their mistakes with this defibrillator recall, people continue to suffer cardiac issues requiring defibrillation in an urgent and timely manner. If you or a loved one have suffered additional injury or wrongful death arising from Stryker’s faulty product, there is a solution. Let Parker Waichman LLP’s experienced attorneys fight for the compensation deserved by you and your family. With Parker Waichman, compensation is within reach for your injuries and grievances. Contact Parker Waichman today for a free case evaluation.